Siam Oriental Twins. Luxurious condominium in ”Roman” style architecture. This new project has 56 rooms, from 33 sqm. studio to 175 sqm. penthouse. High quality materials and european building standard will give good value for your money. 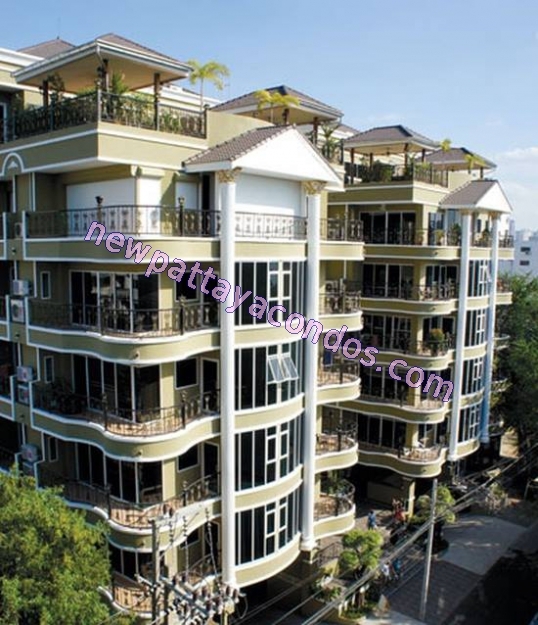 2 seven storey high buildings and beautiful garden with swimming pool. Every room has european style kichen, floor tiles, lightening, air con and fully furnished bathroom. Parking is made under the building and the hole building have wireless internet connection and cable-TV.